Gorilla tracking. Today you head down to Bai Hokou where you will spend time tracking a group of Western Lowland Gorillas. 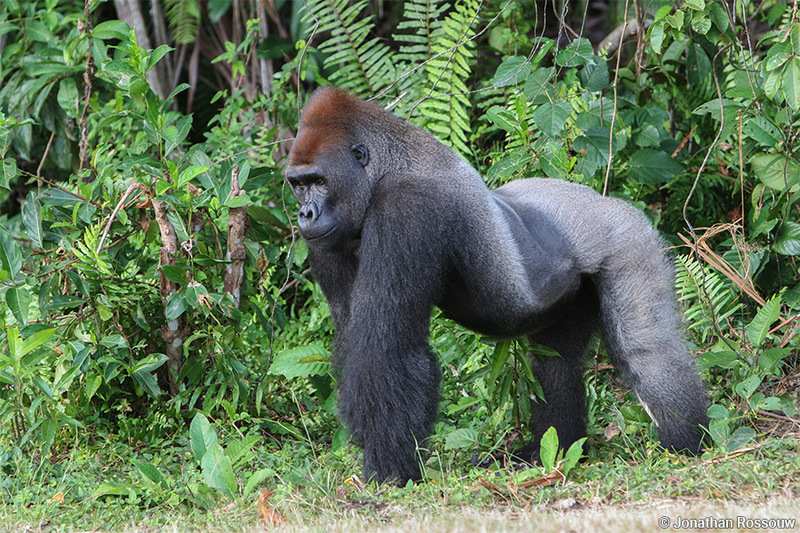 Dzanga Sangha and its neighbours in Congo Nouabale-Ndoki National Park and Odzala are the only places in the world where you can find habituated Lowland Gorillas. Visit to Dzanga Bai. Dzanga Bai is a large mineral rich clearing in the middle of the rainforest where forest elephants gather in large numbers to indulge in drinking the mineral rich waters that bubble up in places in this Bai. 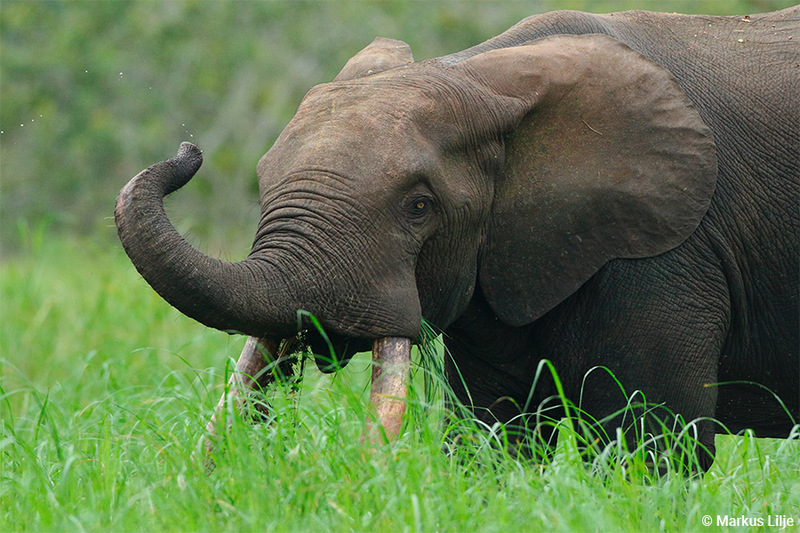 The interaction between so many different groups of Forest elephants ensure that no one can ever get bored at this place, while the possibility of some of the other normally shy forest creature like Bongo, Giant Forest Hog, Red River Hog, Sitatunga and Forest Buffalos visiting the Bai keep us alert. River activities and trekking. Heading upriver by boat you will hike to a series of waterfalls in the area. These will take us through the best examples of prime rainforest that you would ever see. Apart from the amazingly beautiful waterfalls, you will see some of the most spectacular trees imaginable. Climbing to the top of the falls will provide vistas over the canopy of the forest while the possibility of seeing the extremely rare and endangered Grey-necked Rock fowl will excite any birders. 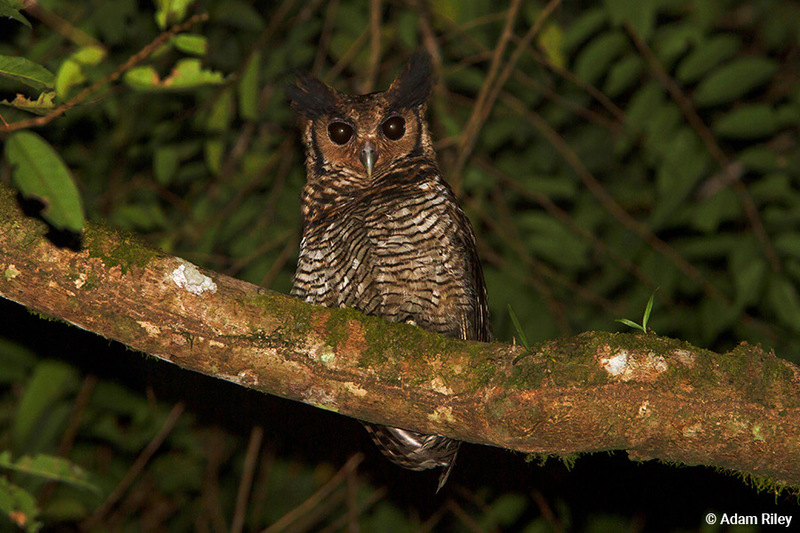 In the evening, you may do a night walk near the lodge with the hope of finding some of the more elusive nocturnal animals such as Potto, Thomas’s Galago, Tree Pangolin, African Palm Civet, Fraser’s Eagle Owl, Vermiculated Fishing Owl and several more. Back into the park today with picnic lunches and you will do a walk around a series of clearings in the forest. 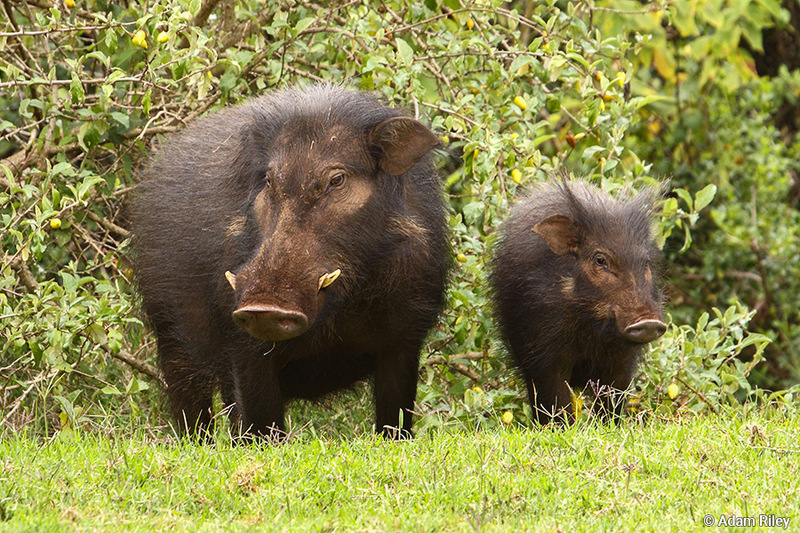 The chance of finding buffalos, elephants and several monkey species on this trek are good. 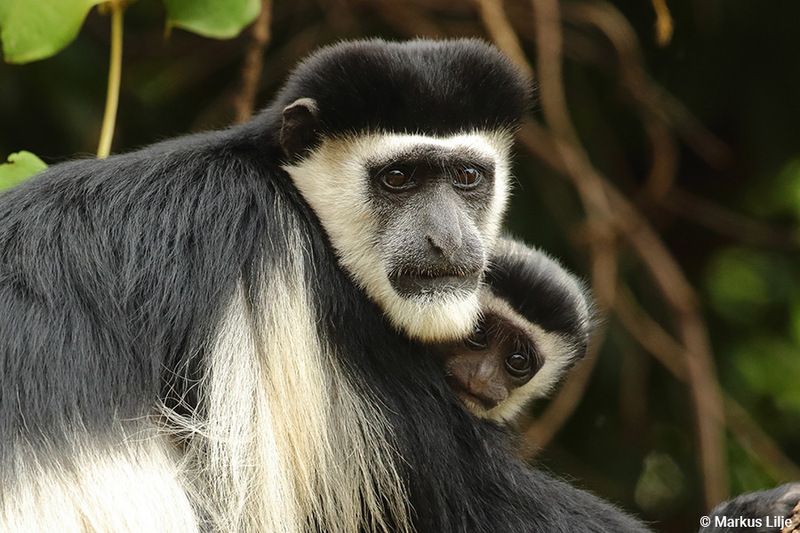 You will also visit a group of habituated monkeys called Agile Mangabey and spend some time photographing their interesting antics. 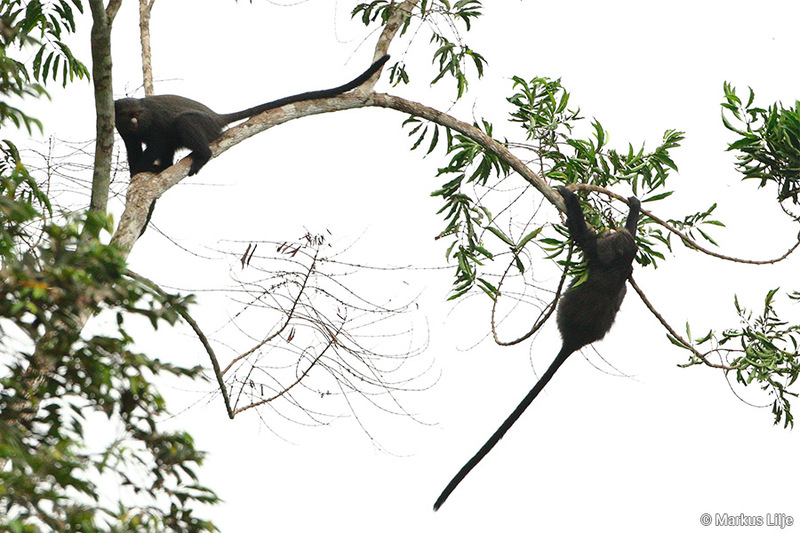 This group of habituated monkeys has over 150 members and their fascinating behaviour is part of a long-term study in the region. Leisure day for optional activities, you have these days for optional activities…These can range from repeating any of the earlier activities done at Sangha lodge such as Gorilla tracking, or visits to the Dzanga Bai, or alternatively just relaxing or walking on the several hikes you have laid out in the forest around the lodge. Please note charter flight costs are included in the tour price.